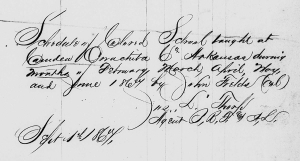 This register of schoolchildren in Camden, Ouchita County, AR records the names of freed children enrolled in school in February, March, April, May and June of 1867. Within the journal, the record format is quite variable. 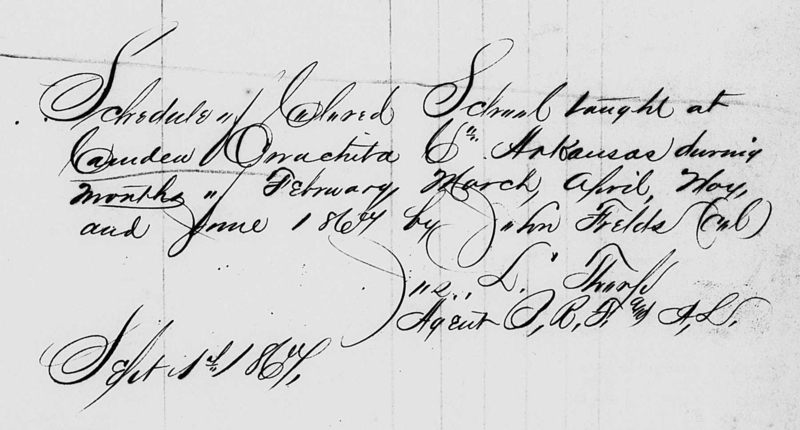 The first few pages of the register list the name of parent and name and gender of students. Later pages list only the names of students. 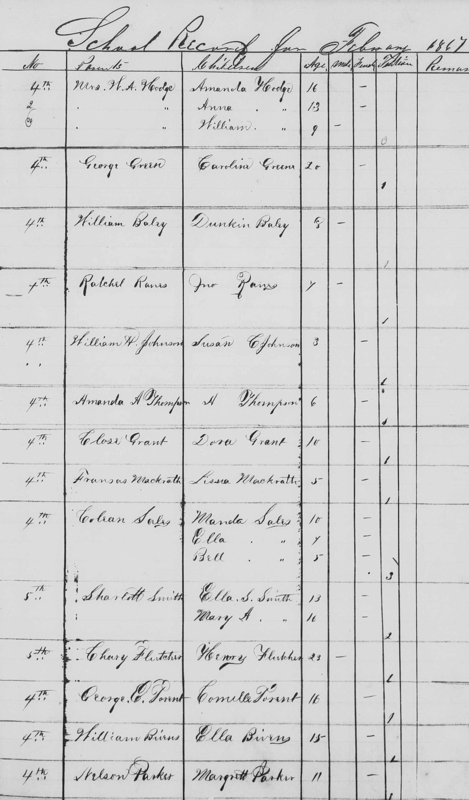 and : “Arkansas, Freedmen’s Bureau Field Office Records, 1864-1872,” images, FamilySearch (https://familysearch.org/pal:/MM9.3.1/TH-1942-46269-8763-33?cc=2328125&wc=9VR9-BZ9:1076660702,1076660217 : accessed 23 Nov 2014), Camden (Ouchita County) > Roll 7, Register of school children and register of attendance of school children, Feb-Jun 1867 > image 4 of 39; citing NARA microfilm publication M1901, National Archives and Records Administration, Washington, D.C.